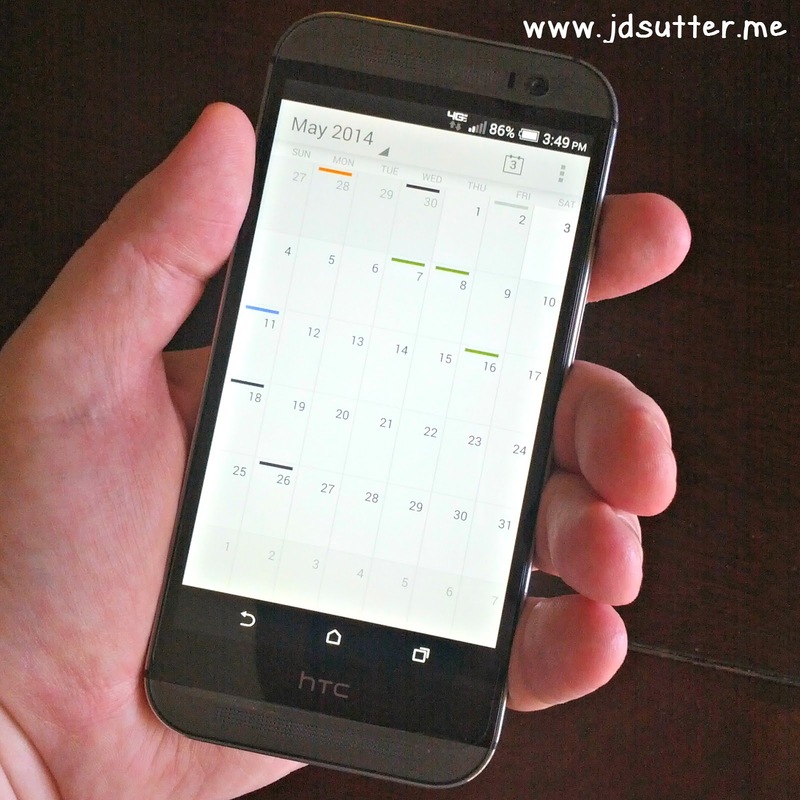 I have been using the HTC One (M8) as my daily phone for two weeks now and I thought I'd share a few thoughts on this device. This is not intended to be an exhaustive review of every aspect of the phone; simply a few points that I've noted after using it for a few days. I'll address a few things I like and a few that I'm not crazy about and am trying to get used to. After having owned and used Android devices from Motorola, Samsung, Asus and a few generic brands, (both phones and tablets; Nexus and non-Nexus) I felt it was time to give HTC a try. The first thing that got me interested in the One to begin with was the fact that it was different from everything else. I loved the look and feel of the device. The metal body is just cool and the curved back makes it look so sleek. Right off the bat, something I really liked was the Quick Settings that are accessed via the Notification Shade. They are extremely handy and can be configured the way I want them. 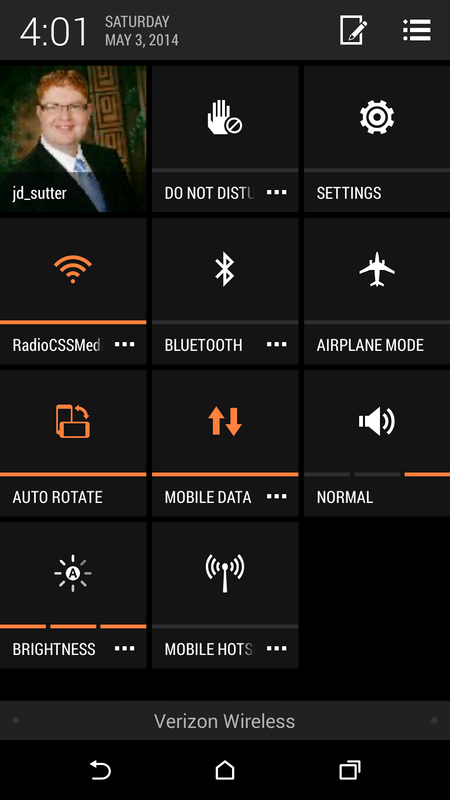 I can choose which settings to display as well as the order that they are listed in. Not a huge deal, but a nice feature nonetheless. Another feature that stood out to me about the new HTC One was the amazing quality of the dual front speakers. I often listen to music around the house with my phone and these speakers are by far the very best I've ever heard on any smartphone. They have a crisp, clear sound and outstanding volume. I also want to mention the really decent battery life I have been experiencing. Every day for the past two weeks, I have gone about my daily activities and intentionally have not plugged in during the day. Each day I have been able to make it through the entire day without having the battery die; or even go into the red on me. Granted, I am not sitting there playing Hay Day on it for long periods of time; I'm just using it as I normally would. I check emails, send text messages, keep up on my blog RSS feeds and maybe even read a book in the Play Books app. Also, I should point out that I don't make very many phone calls; perhaps two or three short calls in an average day. Of the few things that I don't really like about this handset, the most annoying to me is the location of the power button. It is on the top right corner of the device which for my hand is a bit difficult to reach easily. To me it seems like a very odd place for the button as it is not in a spot where your finger would naturally rest when holding the device. I have to completely re-position my hand in order to touch it to turn on/off the screen. The size of the notification LED is also an annoyance for me. It is very tiny and it's not easy to notice when I have a notification since I rarely have the ringer turned on to alert me of texts or emails. I guess this is not a really big issue, but after having the big, bright light on the Galaxy Nexus and the Galaxy S3, this one just seems awfully small. HTC has touted the motion actions that you can use on the One M8 quite a bit, but unfortunately I've found that in real-world, day-to-day use they just don't always live up to the hype. Every once in awhile they simply don't work. Of particular note is the action to quick launch the camera. 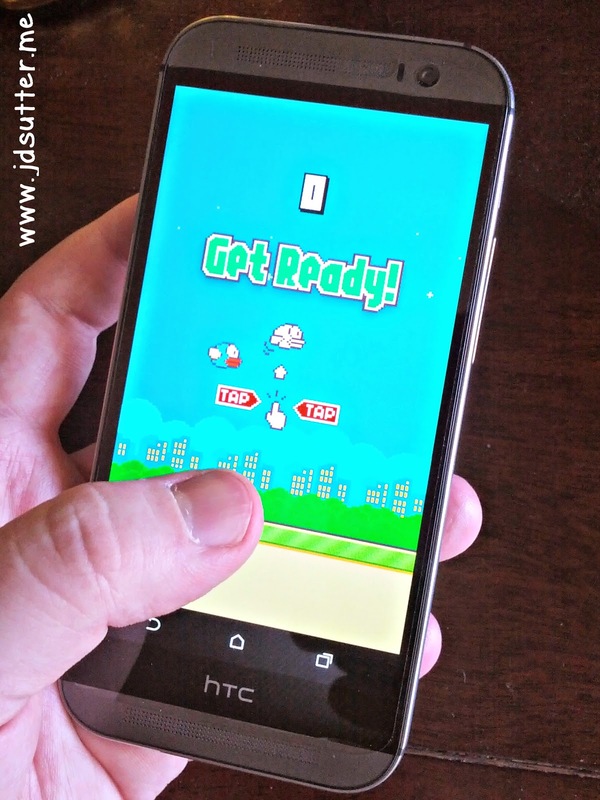 When the HTC One is held in landscape, you are supposed to be able to click the volume button to immediately launch the camera for those moments when you want to grab that quick snapshot. It has probably only worked for me about 25-30 percent of the time. 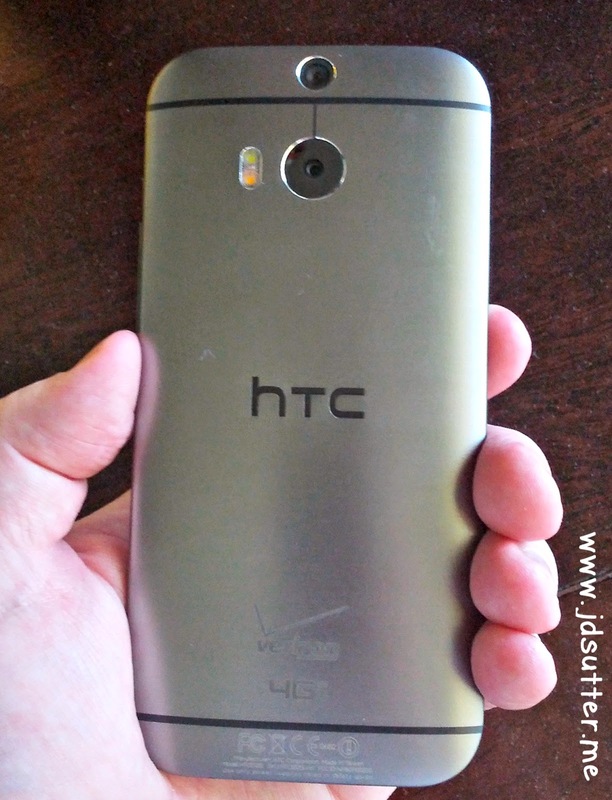 So those are my thoughts on the HTC One M8 after two weeks. Overall, I really do like this device and if you are in the market for a new phone I'd say at least take a look at it. 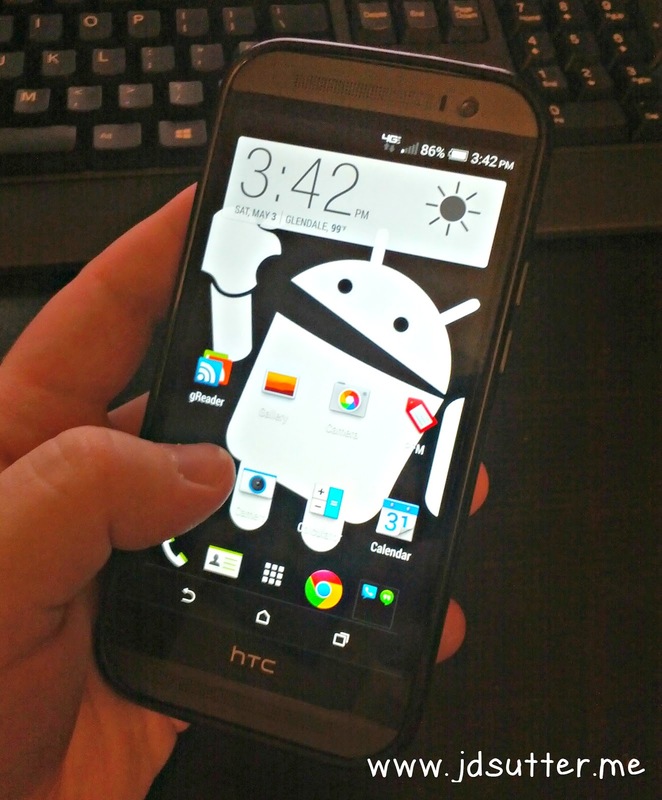 I won't say that it is the device for everyone, but HTC has really done a great job with this flagship device. And it plays Flappy Bird quite well. If you are considering this phone and have any questions about it let me know and I do my best to answer them for you.